1830 – At 13 years old, Her father lost his fortune and had to put Preisch up for sale. Anne Eugenie moved to Paris with her mother while Louis stayed with her father. “ Broken, this bond of ownership which attaches you even to places…family, position, home everything has changed…”On the hill of Montmartre in Paris, Anne enjoyed a brief but happy time of intimacy with her mother. House of Anne Eugenie and family in Preisch France. 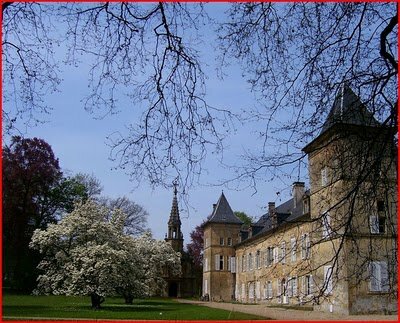 The castle of Sainte-Madeleine, said Preisch Castle is a castle of the early seventeenth century with the remaining feudal elements, located in the village of Lower Rentgen in the department of Moselle. 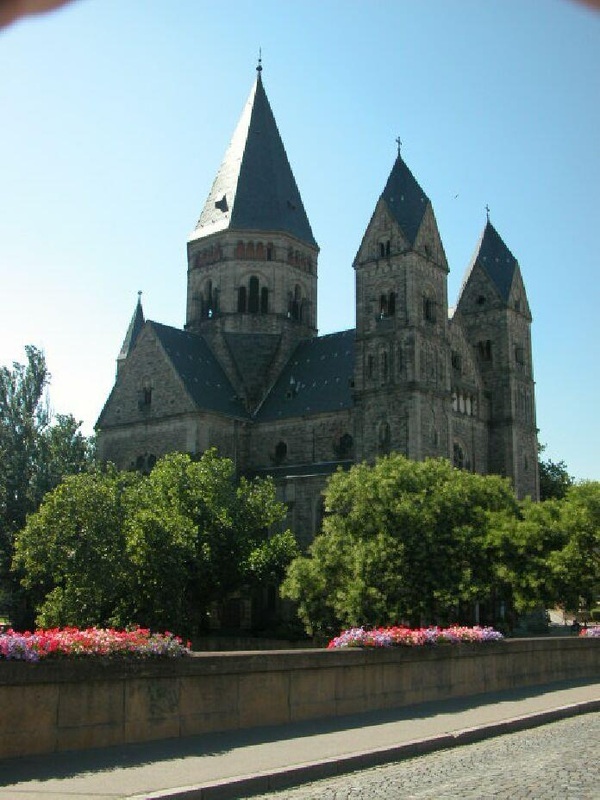 A first castle, feudal, was built in the area of Preisch Taken by Albert in 1122. The foundations of four towers of the first wall and moat remain. Belongs to Preisch successively mentioned as 1122, the Ottange from 1443, to Gerard de Gulch in 1500. This castle was destroyed in 1680. The castle was now the property of Merode (after moults polemics and marriages), after being owned by the family of Rodemack. The main building is the first quarter of the seventeenth century, built for Marguerite de Merode-Soetern Houffalize and Conrad, whose monograms also always CSM adorn the building. 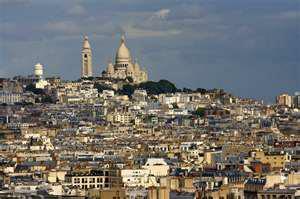 Successively becomes the property of Rooms in 1644, of Rahier in 1685, the rooms again in 1753. François Lasalle is redrill the berries of the castle between 1764 and 1789 and built the Sainte-Madeleine. The flags at the entrance area are the early nineteenth century, built to Milleret Jacques, owner of the castle from 1812 to 1832, who also built a landscaped garden around the castle. The latter's daughter, Marie-Eugenie Milleret will be canonized in 2007. This park of 106 hectares, is surrounded by a high wall along seven kilometers, from the time of Napoleon I, and extending to the Luxembourg border. It is bordered by the Roman road Metz-Trier. A distillery, an oil mill, a brewery and a mill is constructed so that the castle became the real center of the hamlet. 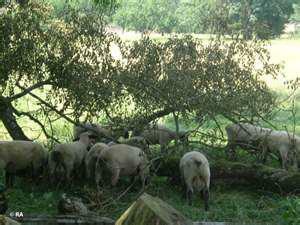 Currently, 50 acres remain around the castle Preisch, maintained by sheep Hampshires and made available to visitors, hikers and picnickers. The castle is registered under the Historic Monuments by order of July 24, 1986 for its feudal, facades and roofs of the castle (and the right staircase inside), the loft and straw input. 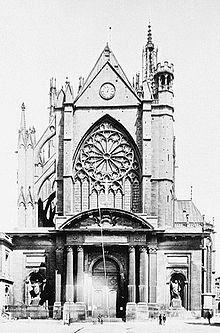 The stately chapel and the cross are classified as a Historical Monument by decree of May 10, 1995. ANNE EUGENIE ( 1817-1830) - The Millerets spent half the year in Metz and the other half in Preisch. As a child Anne Eugenie said." she preferred to play rather then study." Play for her consisted in using up her youthful energy in the wide stretches of the family estate. ANNE EUGENIE (1817) - was born into a wealthy family with aristocratic ancestors. Her father Jacques Milleret family owned 500 acres of woods, fields and streams in Mouselle region. 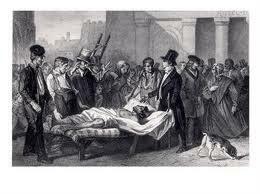 He was a respected man of the business world and owned three banks and was chief tax collector of the area. Later he was elected Deputy of Mouselle region. Her mother Eleonore-Eugenie de Brou was the daughter of a family of aristocratic swordsmen with lands in Belgium and Luxembourg. The Milleret children studied at home, reading both French and German books from their father's well stocked library. Jacques was a deist rather than Christian and Eleonore-Eugenie was more Christian by tradition than conviction. They lived a comfortable life but also learned courage, self-control and a certain austerity. The Milleret home in Metz where Anne Eugenie was born in 1817 . A chateau where the borders of France, Luxembourg and Germany can be viewed from its windows. Jacques Milleret owned 500 acres of land, streams, chateaus in Preisch France where Anne Eugenie and brother Louie spent most of their childhood. 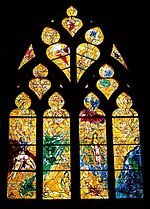 Saint Étienne de Metz (French for Saint Stephen of Metz), also known as Metz Cathedral) is a Gothic, Catholic The cathedral is sometime nicknamed the Good Lord's lantern (French: la lanterne du Bon Dieu) as it possesses the largest expanses of stained glass windows in the world with 6,500 m2 (70,000 sq ft).cathedral in the city of Metz, capital of Lorraine, France. Holster wax silver gilt with the arms of the family of Milleret. 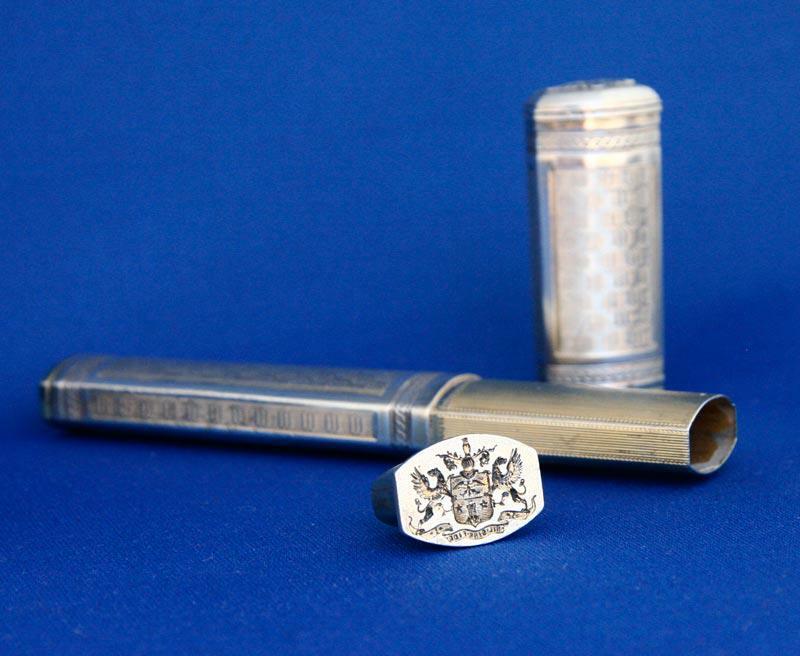 The holster is wax to receive a stick of sealing wax, it also serves as a seal. Preisch, France - where St Marie Eugenie grew up and spent her childhood.